Wood carving tools are used to shape wood by removing unwanted wood, leaving a wood object, or a design on wood, that meets the specifications of the designer. Wood carving has been done for centuries throughout the world. It has been used for religious or ritual purposes as well as aesthetic reasons. Basic bowls and kitchen utensils, as well as works of art, are a result of wood carving. Wood carving tools were designed primarily for production-oriented carving of furniture and architectural details. The many shapes, widths and bends featured in these tools were all developed to carve decorative motifs with a minimum number of cuts. Although carving hand tool designs have changed little since the industrial revolution, power carving tools and handpieces have become popular among woodcarvers for their high-speed grinding, chiseling, and polishing capabilities. Any type of wood can be carved, but some types are better than others. Wood should be chosen based on what the carving is intended for and what finish it will have. Will the item be decorative or will it be used for food; is it a toxic wood that should be used for decoration only? What are the grain characteristics the wood has, what is the texture, and will it split and crack easily during carving? What level of difficulty will it take to carve a specific type of wood? Some woods used for carving are poplar, basswood, pine, oak, and walnut, as well as boxwood, chestnut, maple, rosewood, and ebony. Wood for carving may be obtained locally from lumberyards, landscape gardeners, or tree surgeons. Also look for seashore driftwood or a felled fruitwood tree from a local farmer. Choose wood with no knots, an even grain, and one that is quarter sawn without the center wood. It should be seasoned before carving it. Soft basswood blocks are frequently used for carving because of their even grain and dimensional stability. But many other types of wood are subject to warpage, splitting, or cracking; in these cases laminated wood blocks are used instead. For most woods, boards are less expensive and easier to obtain than blocks of wood, and they are less likely to warp, split, and crack when laminated to form blocks. Wood clamps are used when laminating wood blocks from individual boards. The stacked boards are glued together with white wood glue and then clamped tightly with several wood clamps for about 24 hours. A woodworking vise or clamp is also needed to hold the wood block stationary while carving it. Of course, the size and shape of your developing sculpture will determine the number, type, and usage of the clamps. In addition to basic wood carving tools, you will need a crosscut saw to make the first rough cuts into your wood block. You may need wood files and rasps to finish the surface of your wood carving, small rifflers to finish the details of your carved sculpture, and a file card or wire brush for cleaning the wood filings from the teeth of your abraders. Finally, you will need various grades of sandpaper during the finishing process. On Wood-Carving-Tools.com, you can learn about the tools that are most frequently used by woodcarvers; you can also browse through this wood carving tool manufacturer directory. Whether you are a new carver or an experienced one, at some point you will have to select new carving tools. Before buying carving tools, ask yourself which tools you actually need and if there are tools that you want to try out. If you are buying tools for the first time, start with about a dozen tools, then add more tools as you need them. Be sure to buy quality tools from a reputable manufacturer. Cheap tools are often poor in quality and have badly tempered steel blades, so compare sources and buy the best tools you can afford. Try different brands and inspect them to make sure they fit your needs. 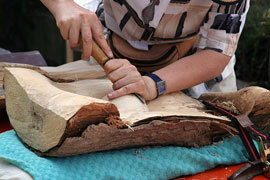 And don't forget to ask other woodcarvers which tools they prefer! This Australian firm manufactures power woodworking tools and instructional videos for woodworkers and woodcarvers. This USA-based tool manufacturer and distributor offers power craft tools and rotary tools for wood carvers. This noted woodworking products store features a good selection of wood carving tools and supplies. 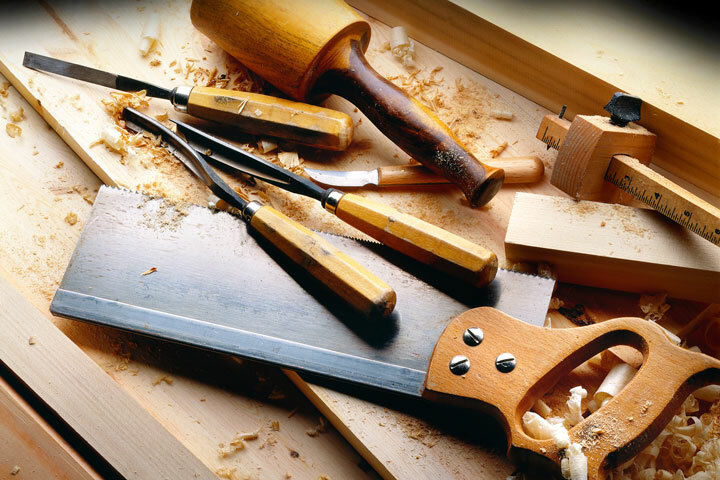 This Florida-based firm offers an extensive selection of wood carving tools and accessories. The National Wood Carvers Association is dedicated to the interests of amateur and professional carvers and whittlers. Chip Chats is their bimonthly magazine about wood carving techniques, wood carving tools, and woodcarvers. Dedicated to designs, themes, and ideas for your next wood carving project. 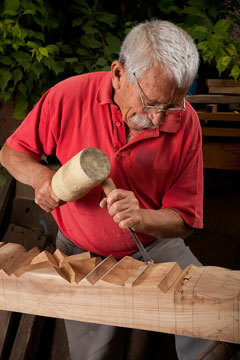 Website features downloadable wood carving patterns as well as tips and tutorials. Learn about the different styles of wood carving, including whittling, in-the-round, relief, and chip carving. This Taunton video illustrates the process of sharpening a woodcarving tool.